Pizza Heart Shape With Ingredients And Copy Space On White Wooden.. Stock Photo, Picture And Royalty Free Image. Image 55437586. 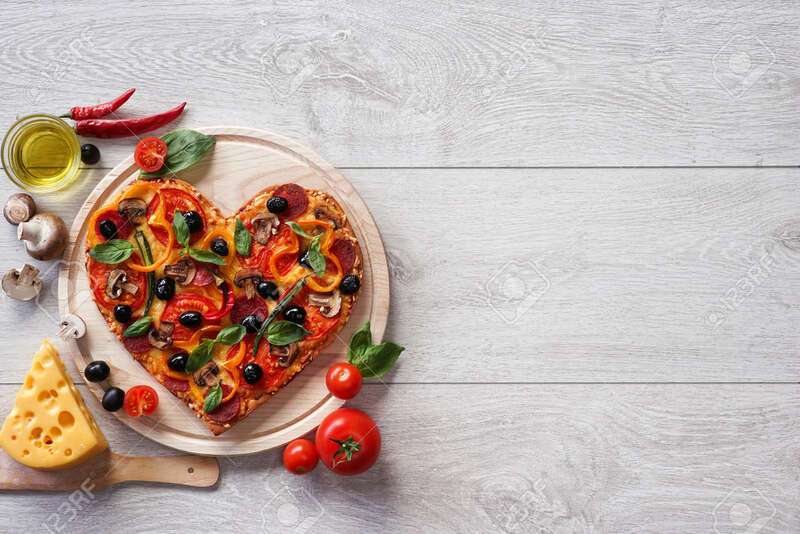 Stock Photo - Pizza heart shape with ingredients and copy space on white wooden background. High resolution product. Pizza heart shape with ingredients and copy space on white wooden background. High resolution product.